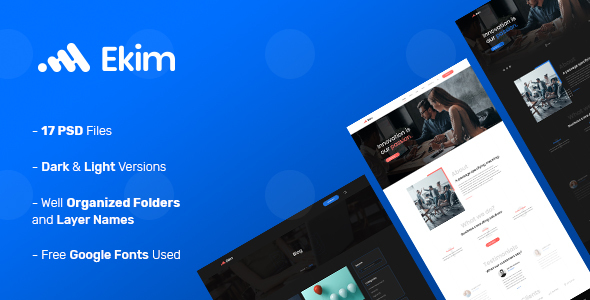 Ekim is a Creative & Business psd template created especially for corporates. It is easy to use and customize. We analyzed many of companies websites before designing the theme. You can use this psd design for different corporate types as finance and consultancy agency etc. Images used in the Demo: All images and videos used in the demo are not distributed with the theme. They are all licensed under Creative Commons and credited to their respective creator/owner.